Most visitors in Sanya are more familiar with Wenchang Chicken, a signature dish in Hainan, and most of them neglect another dish – A Er Ba Bao Chicken Soup (阿二八宝鸡汤), the only dish that can compete with Wenchang Chicken. The soup is best served at A Er Ba Bao Chicken Restaurant, which is 200 meters west of the Yuechuan Bridge (月川桥) in Sanya. Ba Bao literally means eight treasures in Chinese, that is, 8 ingredients are used to make Ba Bao Chicken soup. However, the eight treasures are kept a secret. It’s said that precious and rare herbs are used in the soup, making it a kind of nourishing and beautifying soup. That’s why the soup gets popular in Sanya. 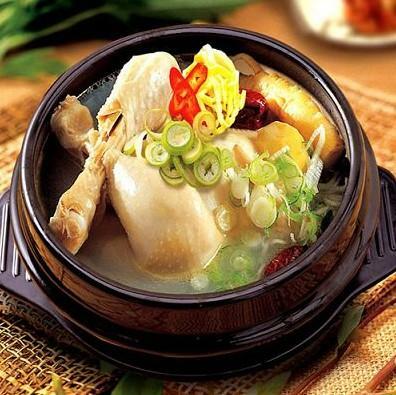 Apart from its delicious soup, the simmered chicken is tender. It’s a must-have soup when you visit Sanya. You will be hooked when you get your first taste of the soup.